Over the following months, we worked with Rob to develop an online course designed to teach you about Implementing Intelligent Information Management on SharePoint and Office 365. The course has been a big success since being launched, but we wanted to get an insider's look at SharePoint. 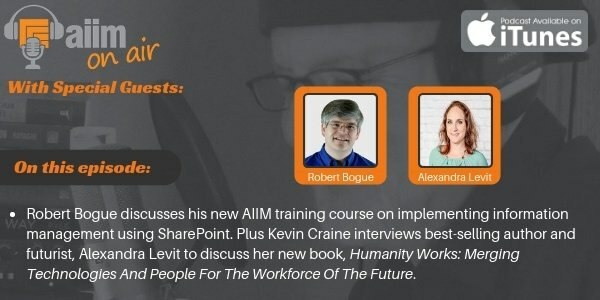 So, to learn about some of the biggest challenges, hottest tips, and a deeper look at how to implement Intelligent Information Management on SharePoint and Office 365, AIIM's podcast host Kevin Craine invited Rob to chat. Also on this episode, Kevin interviews best-selling author and futurist, Alexandra Levit. 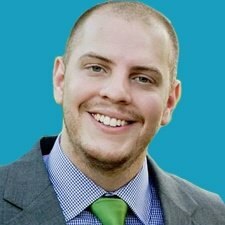 This former advisor to the Obama Administration stops by to chat about the fascinating trends of the future of work and uses cutting-edge academic and business thinking to show what you can do about the future right now. Alexandra also shares some thoughts about her new book "Humanity Works: Merging Technologies And People For The Workforce Of The Future" which is already a #1 Amazon new release.